The Strv m/37 light tank was fast and mechanically reliable. It was armed with two machine guns and designed to perform a reconnaissance role as well as support infantry units deal with enemy incursions and machine gun nests. 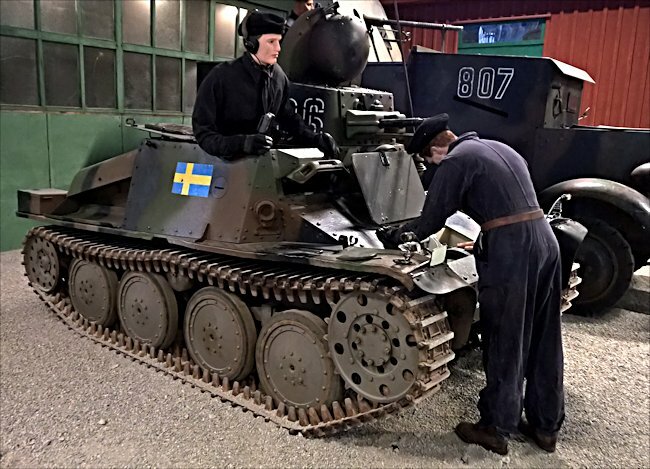 The Swedish Army General Staff finally came around to the idea that the military needed to obtain modern tanks to maintain the country's neutrality stance. They had to be able to defend the borders and the current WW1 German LKII Strv m/21-29 tanks were not up to the job. The army wanted to be re-equipped with fast light tanks armed with machineguns that were supported by a few heavier tanks armed with 37mm cannons. A fact finding Commissions were sent to different countries to look at the tanks other armies were using and prototypes under construction in various factories. The turret was set offside on the m/37 Swedish tank not central as in most tanks. The delegation travelled to what is now the Czech Republic to visit the tank manufacturing company CKD (Ceskomoravska-Kolben-Dan ěk) in March 1937. They were able to test two AH-IV tanks ordered by Iran. 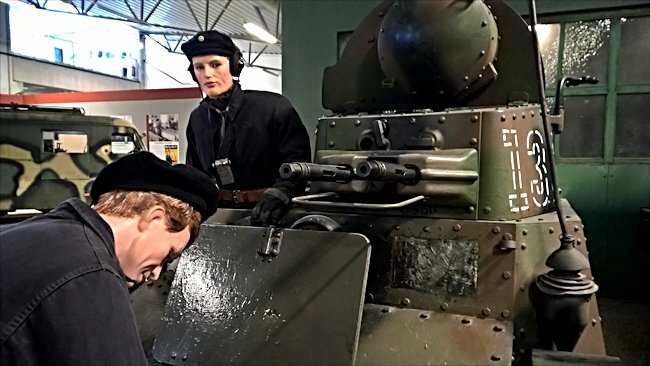 Although they were not the most technologically advanced tanks (the armoured hull was still riveted not welded) they seemed to fit the Swedish army requirement and more importantly its budget. It had good cross country mobility and was fast. They were agile and easy to drive. An order was placed for 46 tanks. The tanks were shipped to Sweden in parts and CKD employee's re-assembled them on the dockside at Jungners shipyard in Oskarshamn, Sweden. 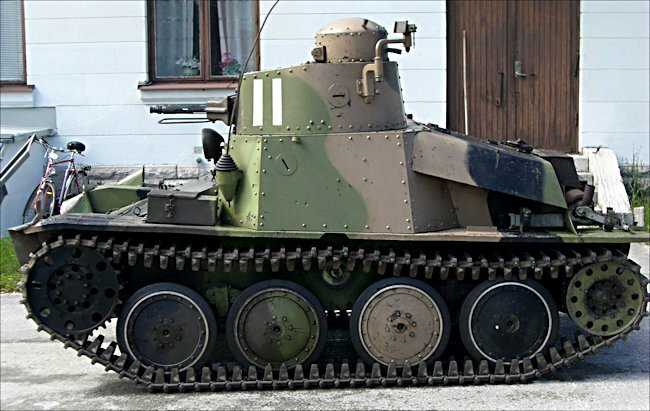 CKD called this model of their tank AH-V-S, but the tanks where known as the Stridsvagn m/37 in Sweden. A Volvo FC-CKD in line 6 cylinder water cooled overhead valve engine was fitted to make it easier to supply spare parts. 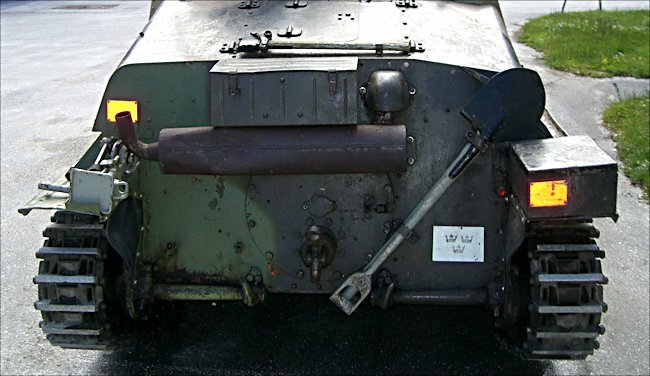 Swedish firm Avesta Jernverk provided some of the armour plating. The tank commander was also the gunner/loader. He sat in a sling in the turret with his head in the cupola. The driver sat on the right of the tank. The tank was quite advanced for its time in that it had a Praga-Wilson 5 speed preselect gear box, which unlike past unsynchronized gear boxes, resulted in a very smooth gear change. The tank weighed 4.5 tons (9.900 lbs) and had a top road speed of 60 km/h (37mph). This was a great leap forward form the 16mph maximum speed of the Strv m/21 tanks that this tank was replacing. 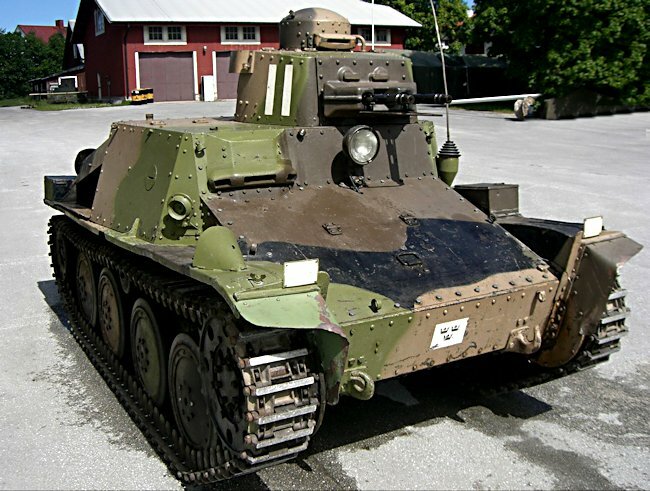 The Stridsvagn m/37 did have some negative features. The driver had very poor vision as the tank was not equipped with optical periscopes. All he had to see outside the tank were very small armoured slits. The side armour was vertical and offered no assistance in deflecting an in coming round. In contrast the front hull armour was very slopped which was a good design feature as many rounds would bounce off before having a chance of penetrating the armour plating. This feature of the tank was a head of its time. It was very noisy inside the Strv m/37 tank. Communication inside the tank between the commander and the driver was via a speaking tube. Later different colored lights that represented certain commands, like turn left, were installed in the driver's compartment. The tank was found to be very reliable. It could be driven over long distance without any major mechanical breakdowns. The Tanks initially formed part of the Tank Battalion at the Göta Lifeguard Regiment 2 in Stockholm. From 1939, they were divided and sent to the 9th Regiment in Skövde, and the 10th Regiment in Strängnäs. Because of the lighter armament, they mainly used for reconnaissance and infantry support. The crews also trained to rush to the scene of any reported enemy paratroop landing spot and eradicate them. 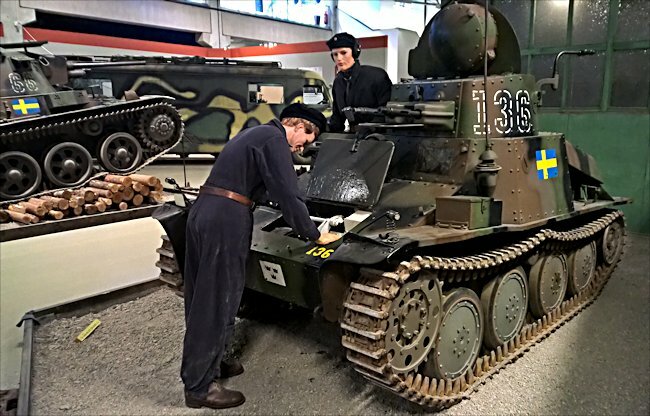 When the armoured forces section was formed in 1942 and they were transferred in 1943 year to 18/P1 on Gotland, where they remained until they were retired out of the Swedish Armed Forces in 1953. The tank had been designed by Alexei Surin-a Russian immigrant who was employed at CKD in the mid twenties. Alexei began his engineering studies in Kiev in the Soviet Union in 1914, but then fought in the first world war and the 1917 revolution. He finished his engineering degree in the Prague University in 1923. After graduation he began work at CKD as a civil engineer. In 1933 he was promoted to Chief Designer. In 1948, he was awarded the order of Vasa by the Swedish King Gustav V "for collaboration with Swedish industry during the second world war". Alexej Surin stayed at the CKD until his retirement in the 1950s. What are the Strv m/37 tank's specifications? It weighed 4.5 ton and had a two man crew. It was armed with two turret mounted 8mm m/36 Bofors machine guns. A total of 46 tanks were produced between 1938-39. It was powered by a Volvo petrol FC-CKD 85hp engine that gave the tank a maximum road speed of 60 km/h. Its protective armour ranged in thickness from 6mm to 15mm. It was 3.4om long, 1.85 m wide and 1.95 m tall. 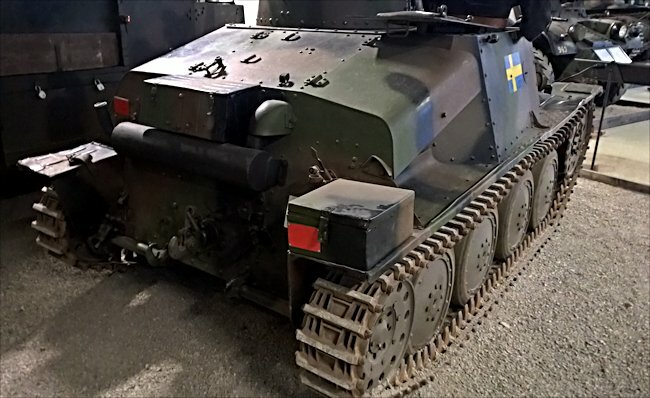 Where can I find preserved Stridsvagn m/37 tanks?